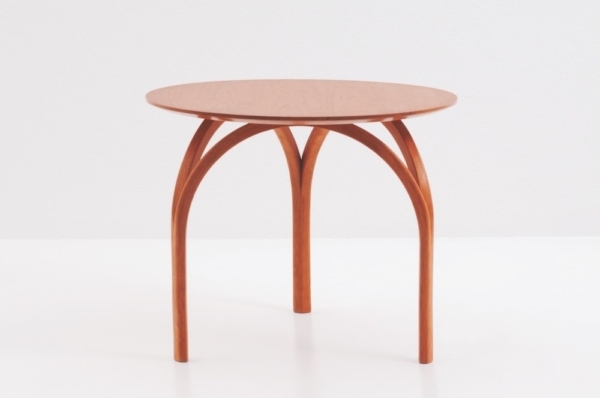 With curved legs that suggest a Gothic cathedral’s dome or the arch of its stained-glass windows, the Vault Table is spectacular in its simplicity. Made of solid, matched-grain hardwood, the table features a hand-finished circular tabletop that tapers gently as it eases from the top to its base. 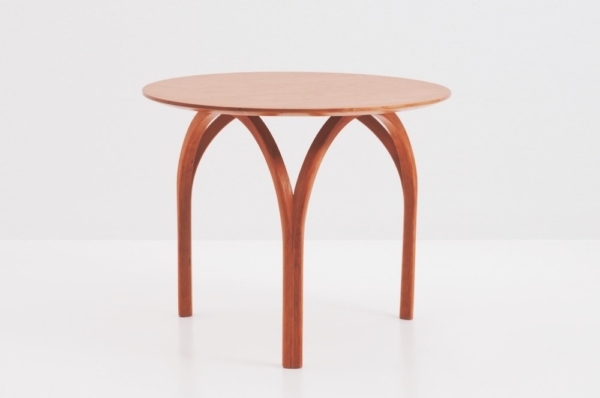 The Vault Table is versatile, and works well freestanding, as an end table, or in front of a sofa. 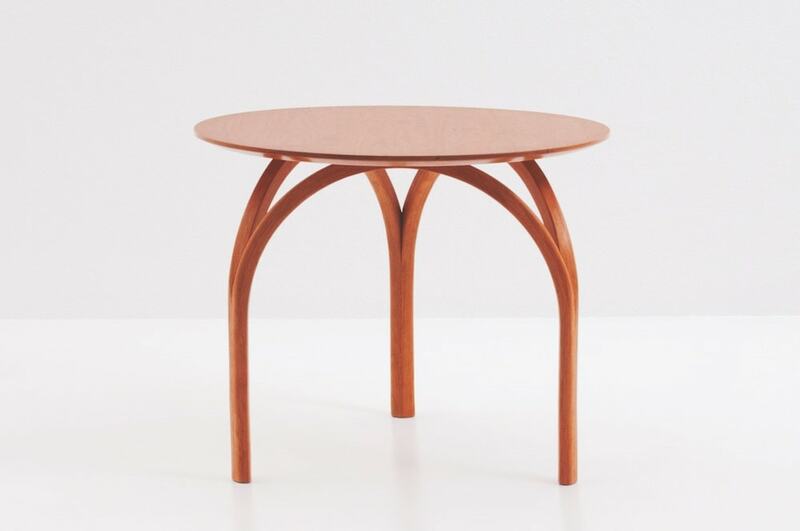 The table’s most distinguishing attribute is its legs, crafted of three arcs that flow down from the top in a seamless work of fine craftsmanship. Challenging to construct, the legs are heat-laminated into shape, then hand-finished to achieve both integrity and beauty. 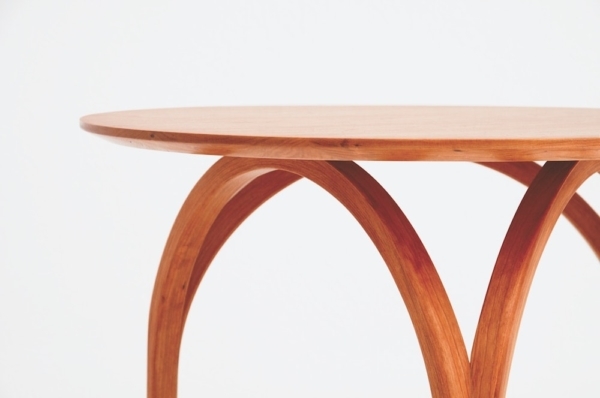 The table’s top is constructed of grain-matched cherry or walnut planks, highlighting the unique properties of the wood. 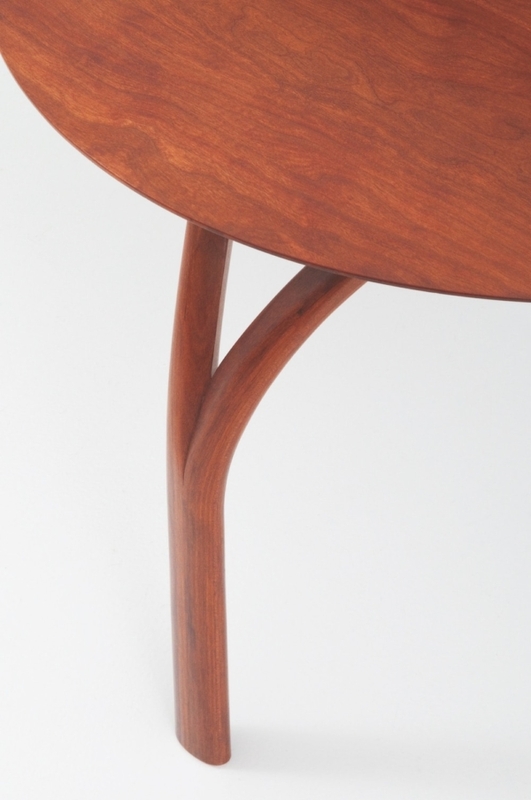 The surface of the table flows down in a gentle taper, meeting the legs in a securely pinned junction that ensures its long, useful life.